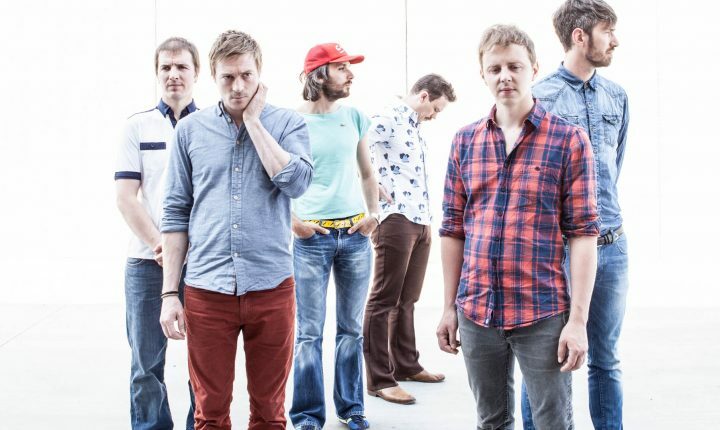 Following their Great Escape shows and release of EP, Misses, Belgian sextet, Girls In Hawaii, released their new album, ‘Everest’ on September 16th 2013. The album was preceded by single, Not Dead. The band have previously released two albums, to critical acclaim in central Europe however, this will be the first UK release. The upcoming release follows the tragic loss of drummer Denis Wielemans in 2010, which, understandably so, led the band to take an extended break. The band tentatively regrouped for a live show in 2010 at Belgium’s Deep in the Woods Festival and, fired up with their live reunion, thankfully set upon recording live together again. Heading to an ancient Manor near Paris, they recorded a new album in three sessions and handed over to Grammy-winning producer Tchad Blake (The Black Keys, Gomez). Girls in Hawaii was always meant to be an adventure, an exploration, a minor epic that would begin in a bedroom and take them as far as they could go.